Agony opens with you waking as a tormented soul within the depths of hell, no recollection of your past life or memories remain, with only a singular urge to drive you. Like millions of souls before you, you must find the Red Goddess. Who is the Red Goddess? Why do you need to find her? Will she offer you a way out from this eternal torture? If you’re looking to soak up as much about this version as possible then it would be best to keep in mind the semi open nature of the game. Most lore is offered to you by other damned souls or through notes and scribbles left by those that have fallen before. These are usually off the beaten path, alongside statutes etc that can be found to boost stats and unlock art, and these are a must to get the most from the story. They’re not required though, you’ll still get the general gist of what’s going on, but they do offer more insights into the Red Goddess and give the game a semi open world feel at times. Once you’ve finished the story, you may want to start again. There are several endings to the game depending on how you get through certain sections, and not all are good! As with the original release there is also the Agony mode, this offers procedural generated mazes that scores you on your survivability. Its a decent enough mode, but thankfully this updated release offers something a bit more substantial in the Succubus mode. Here you play as the hunter, instead of the prey, and drift through the story stages ripping out hearts & snapping infants necks. It’s not quite as fleshed out as the main story, but the different routes and playstyle does offer a nice distraction to the main mode. The original censored release was enough to trigger the faint of heart funnily enough, so one would hope they avoid this Unrated release. To be honest I was surprised by the changes, going in expecting nothing more than a few added gruesome moments. Not only was there more gruesome moments than anticipated, but some puzzles & areas of the game had changed completely given the uncensored nature of this release. The changes are noticeable within the first few minutes of playing, and I certainly prefer this ‘dailed up to 11’ vision of hell the developer has crafted. 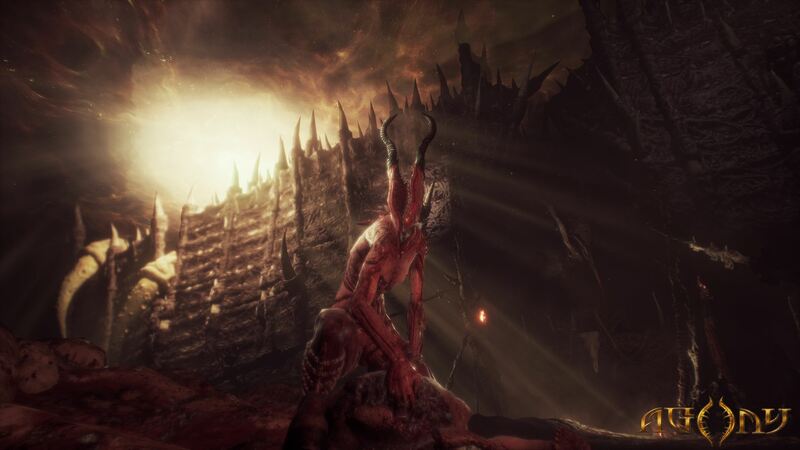 One area of the game that is done particularly well is how hell is presented. It’s probably as gruesome as you would expect, minus the hellfire & brimstone, as this section of the underworld isn’t so much about that. Instead it’s all about corpses. Decapitated corpses litter the ground, bones crunch under your feet, furniture and the walls themselves are made from people – the developers leave little the imagination. The demons themselves look surprisingly good, though the animation is a little wooden at times, and their designs over the game continue to impress. Having the game based on Unreal Technology opens up a plethora of rendering techniques, and the developers cram as much as they can within the game. Post processing is lavishly applied by default, which can lead to a disorientated look to the game if you don’t head to the settings and tweak it a little. The decent presentation is further enhanced by the sound. There’s no BGM to speak of, which makes sure you’re aware of everything in the area when not distracted by the cries and moans of the tortured around you. The original release eventually got a Pro patch on Ps4, but the PC version allows you to go beyond that with better visuals & performance. On my system (R5 1600/16GB/Vega64) the game could be cranked up to 4K/60, with some tweaks to settings at least, as maxed would hover around 45fps. Personally I just connected a controller, locked the game to 30fps, cranked up the settings and disabled chromatic aberration for a cleaner image. The game has decent enough motion blur and the slow pace meant high framerates aren’t needed too much. Oddly enough this didn’t always keep the framerate locked, large amounts of fire caused the GPU clocks to spike and the odd frame to drop – this was also an issue when tweaking for a 60fps lock. The render resolution slider is also a good way to tweak given the heavily processed look of the game, meaning it doesn’t always look crisp anyway, and generally good performance can be had as long as you can keep your inner sacrificial arsonist at bay. Gameplay for Agony is slow. You’ll spend most of your time creaturing around in the shadows due to the heavy emphasis on stealth for the most part when you’re stuck as a Martyr. Stealth here works well enough once you realise it’s quite specific. What I mean by this is there are certain areas that will allow you to hide, gaps in walls & piles of corpses for example, which holding your breath in guarantees safety from passing demons. Just sitting in a dark corner holding your breath wont always work, believe me I tried, even though most of the demons you come across patrolling Hell are of the blind variety. When you get killed, which is usually a lot, the games key feature comes into play that allows you to possess others. Your soul leaves the body and you gotta hunt down a new one before your soul is pulled away, failing will see you spawn back at the last portal you activated. You can also fail a possession I guess, there is an option to do manual possessions, and upgrading your skills by finding forbidden fruits to aid with this certainly helps. This feature does get interesting later on in the game, allowing you to possess demons, which comes in handy for the fleeting combat and surprising boss battles further in the game. At least now we have a map on the UI so as not to run circles in the mazes. When the game originally released it was a mess, full of bugs (save file corruption was the best) that all too often dragged down any enjoyment with the game. This Unrated release comes with some additional tweaks and all post-launch patch work in an attempt to deliver on the promise seen pre-release. The game now goes some way to reaching it on the bug front, yet it still fells clunky & janky to play at times. This is mainly due to the character movement still feeling stiff, which does get masked by the games slow pace (until you sprint), but still effects some areas of the game more. Platforming is the biggest victim of the jank, offering true squeaky bum time moments as you’re never sure where exactly the jump will land. Succubus mode suffers less due to the added agility of the lass, but most of your time with the game is spent as the clunky Martyr unfortunately. 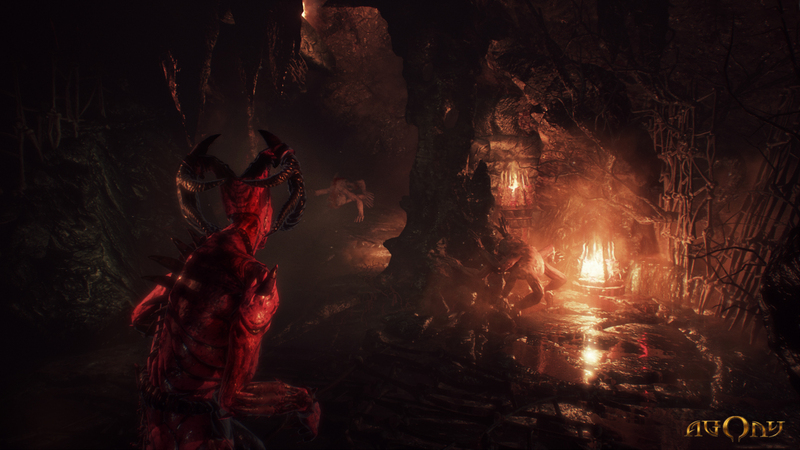 Agony Unrated nets itself a higher score than it’s censored brethren, not least because of the plethora of bug fixes and the developers delivering their uncensored vision of hell – the surprising inclusion of the Succubus mode also made for a nice distraction. Unfortunately it still feels a little janky to play, some areas suffer more from this such as platforming, and its something I doubt the developers will ever be able to rectify. 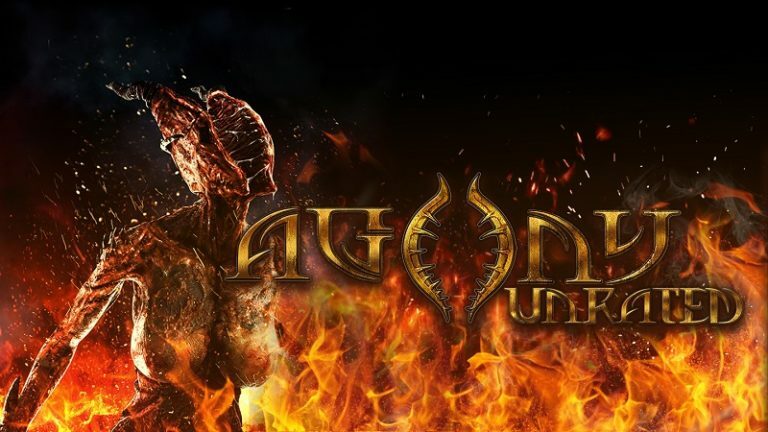 Still, the unrated PC version is certainly the best way to play Agony, and worth some consideration given the reduced price.